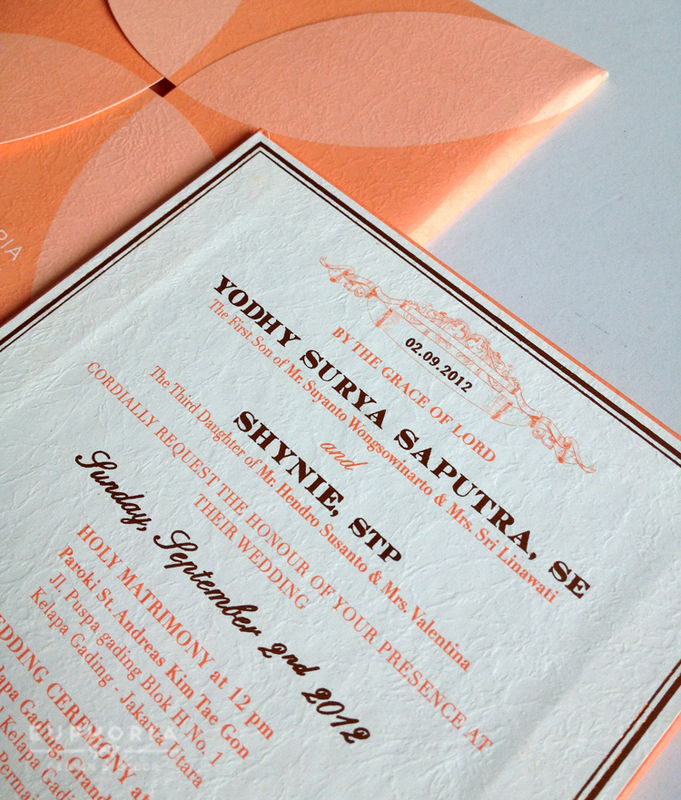 Recently I’ve done a consultation on wedding theme and stationery design for Yodhy and Shynie. I’m so honored to be the person that they looked for when they deal with wedding theme and design. Yodhy is a someone who like details and he is a fun-loving person, Shynie is a tough career woman. This couple is a very interesting match and they complete each other. As chinese background families, their parents wants something that is still carry the culture but yet different to another. So i chose peach and gold as the color theme, gold known as the wealth and happiness symbol in chinese; peach known as the color which is optimistic and uplifting, it’s a blessing to their both marriage in the future. ← Ahoy, JJ’s Sailor Birthday Party! 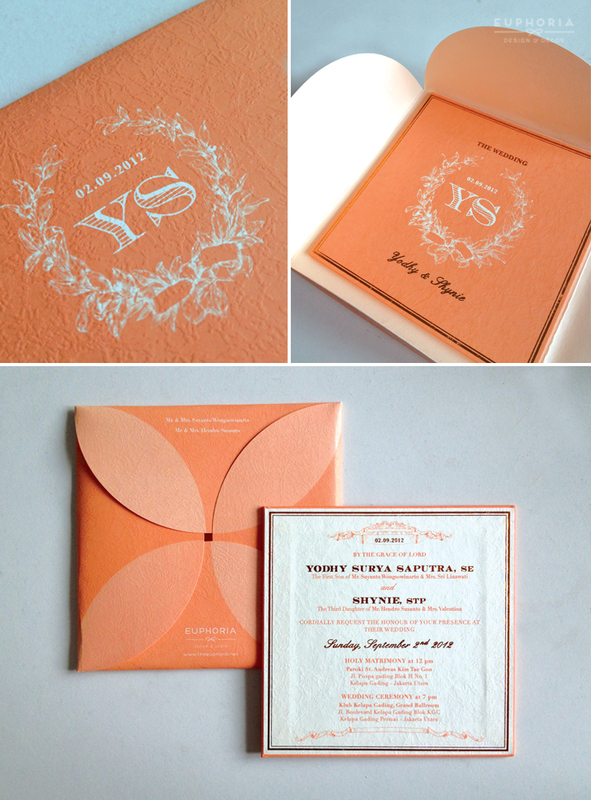 What is the cost of the elegant peach gold wedding invitation card. Hi Chioma, thank you for your enquiry, may i know the quantity you need ? As well as your event date, since it matters if the timeline is tight. Thank you.